We ‘filed this one away’ in early September, at the team’s request – with a view to posting the full story in November. The announcement has appeared now though, ahead of an opportunity to explain it in depth here. That’s a shame, because here is the single most positive news item concerning British GTs for many years. 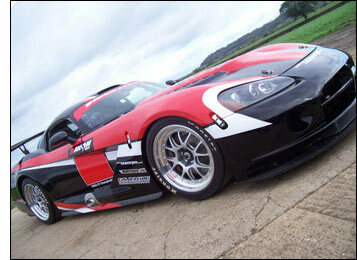 Robin Mortimer’s RPM will field two new GT3 Vipers and two Porsche 997 GT3s in the Avon Tyres British GT Championship. "The GT3 class has been gathering momentum throughout 2006," comments Robin Mortimer. "It seems clear to me that in the UK at least, it will be the future of GT racing. The team tested the first of its Vipers at Estoril on November 5-6, alongside a 997 driven by Matt Griffin. No drivers have been announced for any of the four cars, but Mortimer’s son Alex – a three time GT Cup winner in 2006 – seems set to drive one of the Vipers. Robin Mortimer has expressed a desire for his team to race in the FIA GT3 Championship in 2008.